More star arrivals from the ongoing Cannes Film Festival, day seven. May 20 at the 67th edition of Cannes Film Festival saw a fresh batch of Hollywood stars take to the high profile red carpet for photocalls and various film premieres. Victoria's Secret model Alexandra Ambrosio takes the red carpet by storm in her Atelier Versace gown ahead of the premiere of Two Days, One Night. Actress Amber Heard put together a Vionnet dress, Casadei heels, de Grisogono jewels, and a Zagliani clutch for her first Cannes 2014 appearance. She too was photographed at the Two Days, One Night premiere. Mallika Sherawat was also present at a day seven event at Cannes. 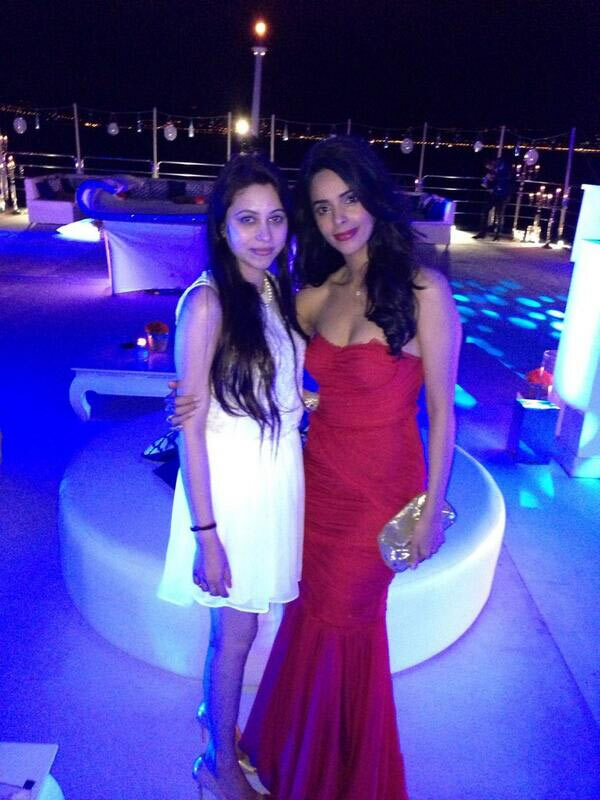 'At Paul Allen's super yacht Octopus, girls night out:) #MallikaInCannes #Cannes2014,' she posted with a picture (above). American actor Adrien Brody poses on the red carpet as he arrives for the screening of the film Coming Home (Gui lai), premiered out of competition at the ongoing festival. Veteran Italian actress Sophia Loren and her son, director Edoardo Ponti pose on the red carpet as they arrive for the screening of Two Days, One Night. Cast member Christina Hendricks and her husband Geoffrey Arend pose on the red carpet as they arrive for the screening of the film Lost River in competition for the category Un Certain Regard. Lost River marks the directorial debut of Canadian actor Ryan Gosling. Victoria's Secret model Petra Nemcova blows a kiss to shutterbugs on her way to the Two Days, One Night premiere. French actress Marion Cotillard, who plays the protagonist in Two Days, One Night, poses for pictures on the red carpet. The film has been selected to compete for the Palme d'Or in the main competition section at the festival. Actor-director Ryan Gosling attends the photocall for his directorial debut Lost River ahead of the film's screening. Continuing her sojourn in the South of France, American socialite Paris Hilton attended Swiss luxury jeweler De Grisogono's party.